Happiness researcher Gretchen Rubin is interested in all facets of human nature. She shares her insights into the 8 Splendid Truths of Happiness, including “feeling good, feeling bad, and feeling right in an atmosphere of growth.” Sometimes happiness doesn’t always make you feel happy, and sometimes we do things for our happiness that don’t actually make us feel good. Find out why in this episode. After conducting research and interviewing multitudes of people, Gretchen found that the subject of habits came up often as a common cause of frustration. She discovered that our habits and productivity challenges greatly contribute to our happiness or unhappiness. One of the solutions is to figure out when you were consistently productive and what was different then from now. People expect to be motivated by their desire to do something. For many people, accountability is really the key aspect. Sometimes we develop a habit of hiding our own story from ourselves, and we start to become unhappy. We need to pay attention to those things we want to hide. Part of the key to happiness is discovering what you are hiding from yourself. What are you not contemplating or reflecting on? We feel happier when we’re growing. When we’re learning something new, challenging ourselves, helping other people, somehow acting in a positive way in the world. Learning something new for ourselves is an important engine for happiness. When everything in your life is feeling very bad, if you can seek out an area where you have an atmosphere of growth, it gives you a surge in energy. Gretchen has created a framework for dividing humanity into four categories called the four tendencies. To discover which category you fit into, go to GretchenRubin.com, or you can visit Happiercast.com/quiz for the free quiz and report. We have to understand how we are different from each other, to relate to one another. “We all have to figure out what is right for us“, says Gretchen. “You can succeed if it’s set up in a way that is right for you.” If we have habits that work for us, we are more likely to be successful and productive. She has developed 21 habits strategies, because she believes when we change our habits, we change our lives. SMITH magazine celebrates the joy of storytelling, with a focus on personal narrative, through Six Word Memoirs. They believe everyone has a story – just like we do! Writing in six words is a simple, creative way to get to the essence of anything—from the breaking news of the day to your own life and the way you live it. Try it out, just for fun! Can you boil your life down to just six words? The great thing about Smith Magazine and Six Word Memoirs, is that it’s for anybody. It’s a storytelling community: a place to read, write, and share stories. They’ve published four books of Six-Word Memoirs, including the NYT bestseller, “Not Quite What I Was Planning: Six-Word Memoirs by Writers Famous & Obscure.” SMITHTeens.com, is their younger cousin, and is is a beautiful world of self-expression, in six words, by teens across the world. 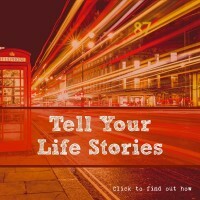 I encourage everyone listening to stop by www.sixwordmemoirs.com to check out some of the most fascinating memoirs you’ve ever read…they’re all just six words long! 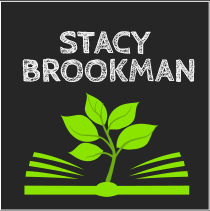 Free Download: You Don’t Have to be a Writer to Write Your Stories! You Don’t Have to be a Writer to Write Your Stories! 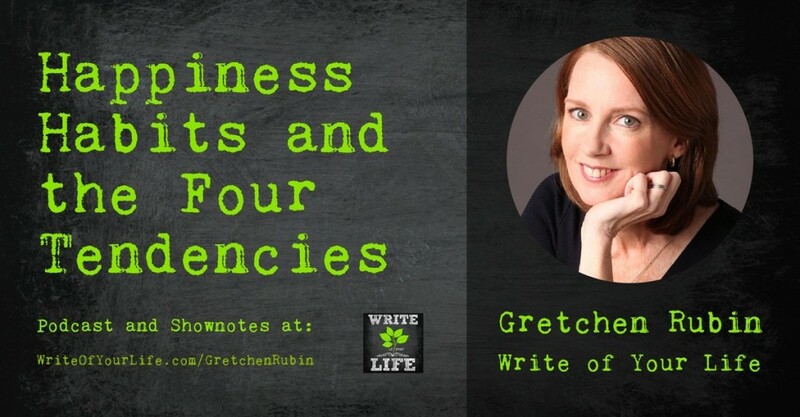 Gretchen Rubin is the author of several books, including the blockbuster New York Times bestsellers, Better Than Before, The Happiness Project and Happier at Home. She has an enormous readership, both in print and online, and her books have sold more than two million copies worldwide, in more than thirty languages. On her popular weekly podcast Happier with Gretchen Rubin, she discusses good habits and happiness with her sister Elizabeth Craft; they’ve been called the “Click and Clack of podcasters.” Rubin started her career in law and was clerking for Supreme Court Justice Sandra Day O’Connor when she realized she wanted to be a writer. She lives in New York City with her husband and two daughters.